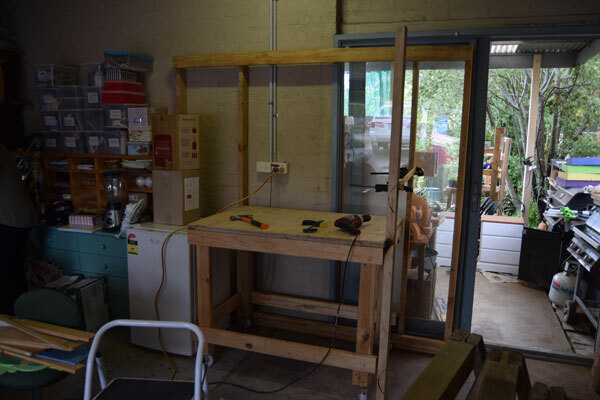 My tools have out grown the small sideboard in the garage so time for a new purpose built one. 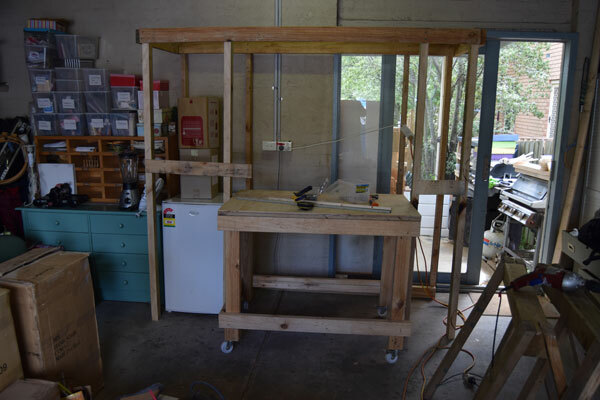 i have my workbench on wheels and that suits. 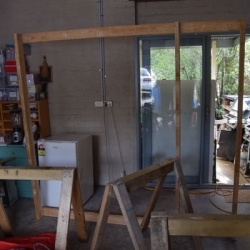 So i decided to use a useless part of the garage and maximise wasted space as always, basically still using my tried and tested 4 post method, the chest freezer stays but the space above it wasn’t being used so i will creat some shelves above, the height is 2.2m ish and will allow for a LARGE flat storage area for all those ultra light boxes and stuff in the garage everyone tends to keep. 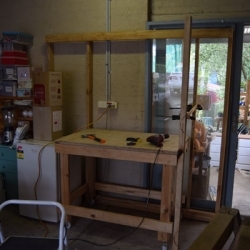 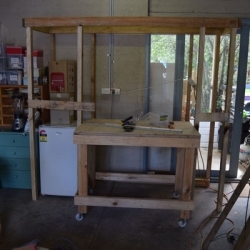 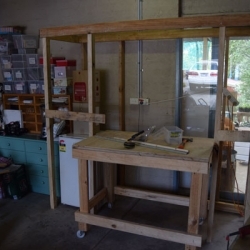 Then the middle is my bench on wheels, slides in when not in use and out when i want it, i’ll be putting a fold down panel that will replace the bench when out and thus double its surface area, i’ll still have room for a few wide shelves above it. 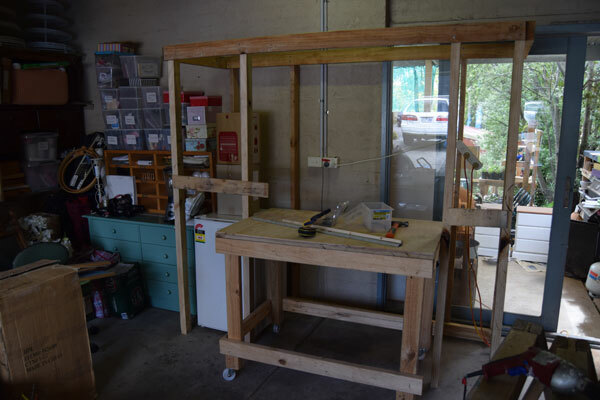 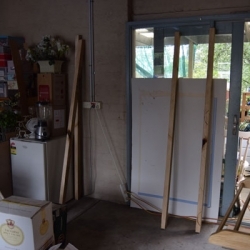 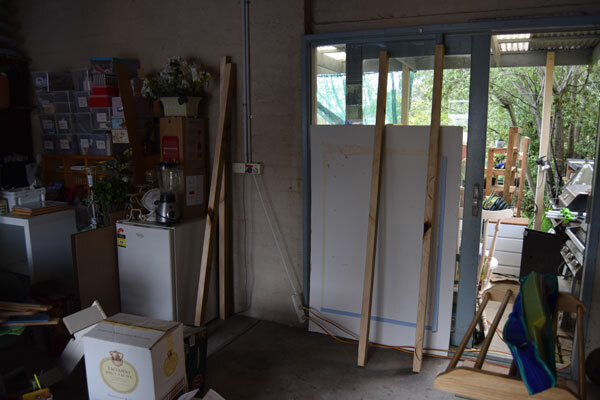 on the right near the door is a thin set of shelves, they will have draws like boxes and there will be 8 so i can keep my tools and gadgets in each, drill, sander, angle grinder, planer, jig saw, router and hand saws, rulers, bla bla. 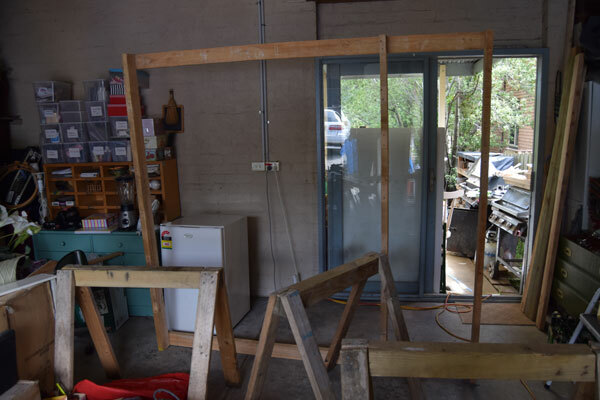 i haven’t finished but here’s some photos.